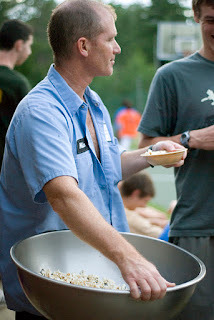 Scotty Hamilton is another of our great junior counselors who has been with us for quite a while. This will be returning for his eighth summer. Hailing from Northbrook, IL, Scotty is a junior at Glenbrook North High School where he is on the school’s on the track team. At camp, he’ll instruct archery and several athletic activities. Like the rest of our junior counselors, its been great seeing Scotty move up through his camper years and become a staff member! Earliest camp memory: J3 in 2005 when we went on the loft to try and find a way into Wanegan. Andy and Dan had a great time in St. Louis. 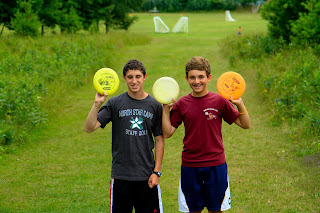 We saw many campers and camp families as well as a handful of NSC alums. We also enjoyed meeting new families at the Summer Opportunities Fair and catching up with several other camps throughout the weekend. If you are a prospective camp family or know someone who is looking for camp for their son, we are also available for home visits. 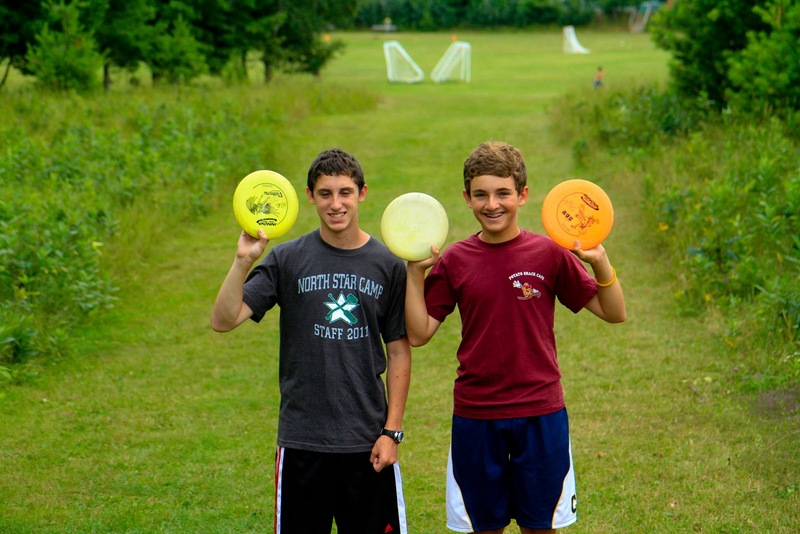 Email andy@northstarcamp.com or call us at 715-462-3254 to set up a visit or to learn more. 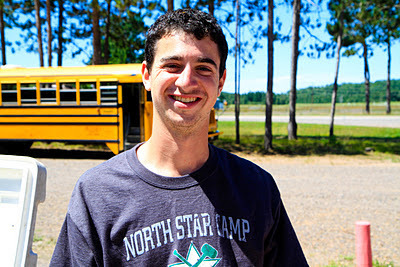 Prospective staff who are interested in meeting to discuss our openings but cannot stop by during our scheduled times, email dan@northstarcamp.com or call us at 715-462-3254. 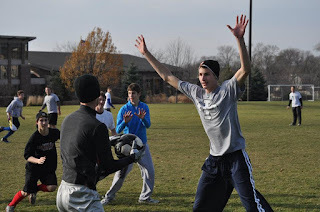 Max "Emme" Emmerman will be back for summer #8. Hailing from Chicago, he is a junior at Francis Parker High School. Max is the captain of his school's golf team and also plays on the tennis team. He was recently nominated to attend the National Youth Leadership Forum on National Security and Foreign Policy in Washington D.C. He’ll have the opportunity to meet with former heads of the CIA and FBI and will visit areas that are considered restricted zones. We're thrilled to have Max back as a junior counselor. As you can see he has a diverse set of interests and brings a lot to North Star! Many camps have to search far and wide to find a good office manager. Landing someone who happens to have their summer free, is organized, and able to handle all the other fun stuff that comes through the main office isn't an easy task. 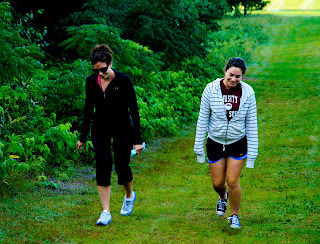 We didn't have to look so far when it came to Robyn... she's seemingly been a part of the North Star family since the days when she and her best friend Vickie Sandler came to camp each summer to visit Vickie's then boy friend Andy. Vickie, Robyn and Andy have been friends since high school and Robyn was the Maid of Honor in their wedding. We're thrilled to have Robyn back for her third summer. She does a great job keeping our office running on all cylinders. She's the friendly voice that you hear when you call the camp office during the summer. She also helps out a lot on our waterfront, both at swim point and at waterskiing. During the year she resides in St. Paul, MN where she’s a deaf educator. Favorite TV Show: Right now its New Girl, but I also love Modern Family and Jeopardy. Preferred Chicken Nugget Dip: Definitely honey mustard. Sometimes the chicken finger just becomes a vehicle to eat more of it. Andy and I hit the road for St. Louis today and will be there for the entire weekend. We'll be in town for both staff and camper recruiting. Below are the details of our scheduled stops, but we're also available by appointment. 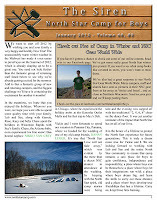 If you want to contact us, you can email andy@northstarcamp.com or call 715-462-3254. 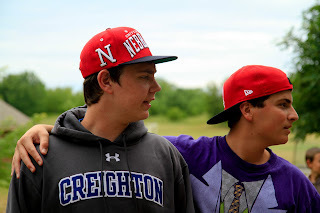 We're happy to schedule last minute home visits and if you know of any perspective campers or staff in the area, either have them contact us, visit us at one of our stops, or send us their contact info and we'll get in touch. A heads up on our upcoming travels, too. We'll be in the Detroit area from January 31st - Feb 2nd. We're staffing at Michigan State, Univ of Michigan and Eastern Michigan University, attending a camper recruitment event in West Bloomfield, and, of course are available for home visits. We'll send updates from the road! Every year Andy and I do a staffing trip down to the University of Illinois. There are several current NSC staff and alumni that go to school down there, so its great to see them. 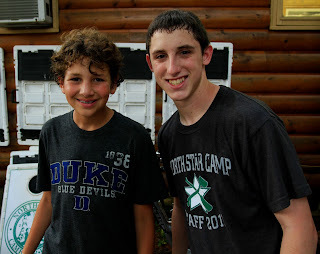 We also take any camp folks and prospective counselors out for dinner, the real reason behind the trip. Its become a bit of a tradition that we go out to Papa Del's. Their deep dish pizza is well known amongst the U of I crowd and its a really good excuse for Andy and I to grab a meal there. Somehow, we've managed to pick up several solid staff members there. Like clockwork, we always leave Urbana, IL having made great connections and ultimately we hire at least one, if not more really solid staff members. The latest to join the group is Jeremy Palgen. A native of Manhattan, IL, at the U of I he’s majoring in biology and is also President of the Sigma Nu fraternity. At camp, Jeremy is one of our climbing and fishing instructors. 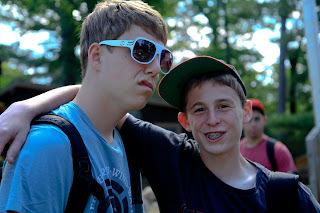 This will be his second summer at North Star. Kim McCormack was actually Kim Hulse when she first came to North Star 14 years ago. 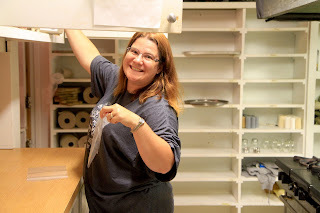 As a middle school science teacher, she worked with NSC long timers Steve (Hitch) and Corrie Hitchens, who told her about the opportunity to work at camp as office manager. That seemed intriguing enough, and little did she know that she'd find her eventual husband at North Star. We often joke that Kim is a Jill of all trades, and there have actually been years where that title was on her contract. The fact is that for camp to be successful, there are always people who go well beyond their title and do whatever is necessary, and this certainly is the case with Kim. She works with our counselors to make sure that our cabin cruiser days are successful. She assists in Denny's Den, helping make sure that the daily program happens. She also has lots of other daily tasks, ranging from helping sort mail to making sure that counselors get nightly snacks. Kim did find her husband at North Star. Jeff is currently our CIT director. Their son Lake also makes North Star home for the summer. During the off season, Kim is a middle school science teacher in Evergreen, CO. Favorite camp meal: Tin foil surprise seasoned with minced and chopped bland. I will continue to lobby to have it each cruiser day. Kim's favorite cooking spice is minced "Bland"
Olly is a man of many talents! Our International staff members bring so much to camp. We work hand in hand with a few different agencies who recruit, interview and place staff at camps across the country. NSC alum Brad Holland worked for many years with a company in his native Australia and about a year ago he move on from that. After leaving, however, he did some consulting work with the placement agencies and in this role, he sent us one last profile for a prospective counselor named Oliver Cayless. Brad hit the nail on the head on that one! Olly returns to North Star for summer #2. Traveling all the way from the UK, Olly hails from Brecon in Wales. Back home, Olly is a student where he studies sports and exercise science. 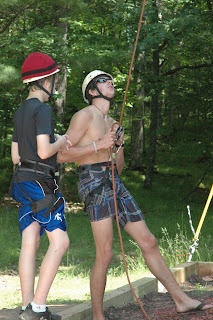 At camp, we put his talents to good use as he spends much of his time as a climbing wall and windsurfing instructor. On top of that, he is a certified canoeing and kayaking instructor. We’re lucky to have Olly back! Favorite camp meal: Beef with the fried potato ball things (I am guessing he means latkes) taco salad, anything by the squirty chicken kievs. The January 2012 Siren is Online! The January Siren is online. While we're proud of the literary masterpiece that is our opening welcome, we know that for most, the campers especially, the good stuff starts on page two. Here you'll find our first installment of returning staff. We are very excited to introduce the young (and not so young) men and women who are going to make North Star's 68th summer so great. Since the Siren went to press, we have received commitments from additional returning staff, so keep an eye out for our February newsletter which will have more returners, our 2012 class of Counselors in Training, and several new staff that we've hired over the last few weeks. Enrollment continues to be strong, and you'll see the latest new and returning campers who have enrolled. We still have spaces remaining in some of our age groups, depending on session. If you know of anyone who might be interested in sending their son to North Star, let us know by completing the "Refer a Friend" form. We will be at camper recruitment events in St. Louis and Detroit over the coming weeks and will also be traveling to Atlanta and many other cities. 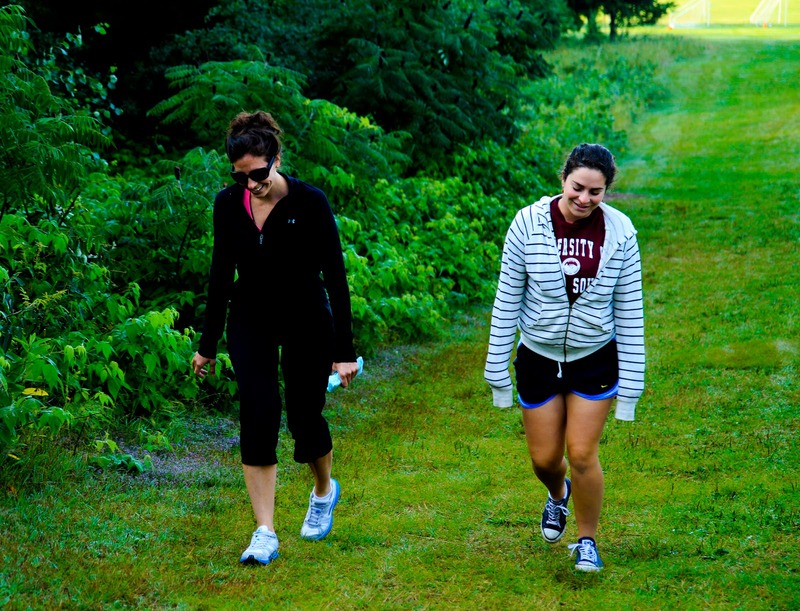 We'd be happy to schedule home visits with prospective campers. 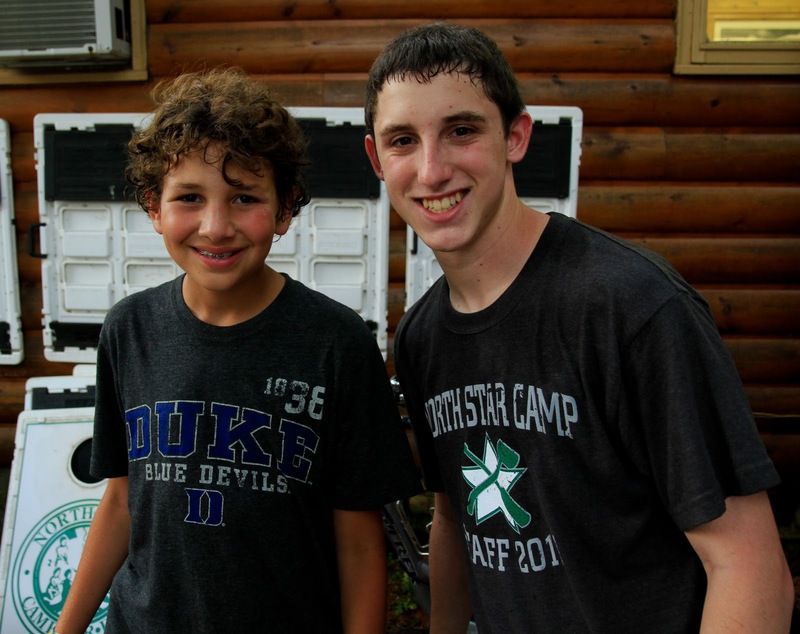 As always, we appreciate your support and we know that our best salesmen and saleswomen are our camp families. Forty years ago I stepped off the plane in Minneapolis and drove three hours to North Star. When I got there I thought that I had arrived in heaven and couldn't believe how beautiful it was. I still think it's one of the most beautiful places on earth. Three summers later, while working as a counselor, all the other guys were very busy trying to impress the beautiful new nurse. I waited and waited, and 8 years later that beautiful nurse became my wife. Sue "da Nurse" has been by my side ever since. Well, two kids and a grandchild later it became time to step aside to ensure the continuity of the North Star Community. Andy arrived on the scene as a young camper and as he "worked" his way through the system it became obvious to Sue and I that he has the same love, care and compassion for North Star as we do. More importantly, his emphasis on the campers and ensuring a safe and nurturing community would leave Sue and I with a sense of peace that North Star will be in good hands for future generations. We announced Andy’s position as co-director in August with the goal of transitioning the ownership to Vickie and him. The speed at which we were able to complete the transaction is a testament to the comfort we feel in his ability to continue the wonderful camping traditions that were started by Lou and Renee Rosenblum in 1945. The transition is now complete, and Sue and I want to be the first to publicly congratulate Andy and Vickie and wish them the best of luck and good health in their careers as camp owners and directors. We hope they have as much fun as Sue and me. We hope they have as many wonderful relationships with kids, counselors and parents as we have enjoyed over the past 40 years. Sue and I will be there for years to come to lend our help and support. We're looking forward to the initiatives and great ideas that we know will come with the enthusiasm and love for camp that they bring to North Star. The North Star is shining brightly, we're proud to continue with Andy and Vickie. We also want to wish the entire North Star community a Happy and Healthy New Year. We are looking forward to the North Star’s 68th summer in 2012!